The National Information Centre of Earthquake Engineering (NICEE) has been actively spreading awareness and information with a view to reduce earthquake disasters. 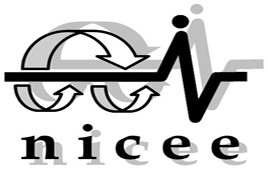 In addition to its active web site, a rich library of earthquake engineering literature and facilitation of its usage, NICEE has undertaken a number of innovative activities: literature review workshops for postgraduate students and faculty of engineering, e-conferences, publication of monographs, translation of literature of mass appeal, distribution of literature free of charge, etc. NICEE works on a very low budget using the interest income of an endowment corpus. It gets no annual budget from any source. Therefore your donation will be critically useful to the agenda of earthquake safety in India. All donations from within India are 100% tax deductible under section 80G of Indian Income Tax. Home Contact About Us Hosted Free by Phoenix Webtech Pvt. Ltd.